The participants discussed various aspects of the problem of religious radicalism, certain elements of the European policy against radicalization, and the system of international monitoring and timely warning of religious communities against possible threats. 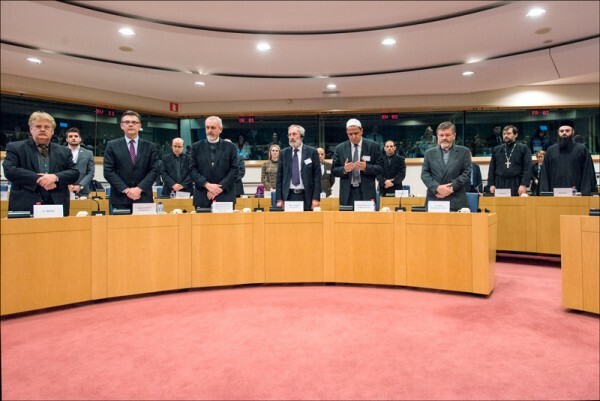 Attending the conference among other participants was archpriest Dimitry Sizonenko, acting representative of the Russian Orthodox Church at the European international institutions in Brussels. Addresses of the representatives of the Commission of the Catholic Bishops’ Conferences, other Churches and religious communities were delivered during panel discussions. President of the European Parliament Martin Schultz said in his closing speech that it was necessary to develop dialogue with people of different persuasions for the sake of peaceful coexistence based on mutual respect.